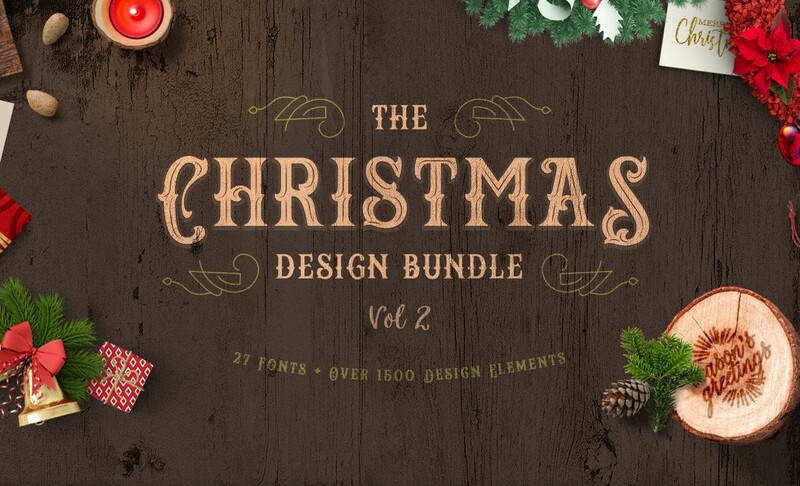 Christmas Design Bundle Vol II is the biggest graphics Christmas Bundle yet, created for the delight of any designers, containing 27 different font families and over 1500 graphic elements offered by DesignBundles.net. Worth $701 if you buy them separately, you can save a lot by purchasing this useful design elements bundle. Get it today for only $34! A font description published on Thursday, October 26th, 2017 in Bundles, Expired, Fonts, Graphics by Andrei that has 1,450 views.